Have you tried Sorcerers of the Magic Kingdom yet? Wait, let me rephrase that – have you played Sorcerers of the Magic Kingdom, collected the cards, and learned the different spells by heart yet? In case you’re new to the game, Sorcerers of the Magic Kingdom is an in-park interactive experience in which guests join forces with Merlin to defeat Disney Villains who are scheming to take over Magic Kingdom Park. Guests use maps to search for villain hideouts throughout the park, visit magic portals and use magic spell cards to foil each villain’s plan. 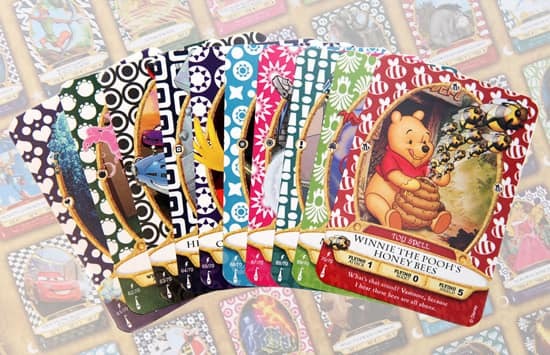 Deciding which card to use is my favorite part – there are 70 cards in the base set, plus two limited-edition party cards you can collect that each feature a different Disney character, and each character has a magical power unique to him or her. And some spells are stronger than others. Pay attention to spell choice – Spell choice is key in the game’s advanced level. Villains may be susceptible or resistant to certain spell types, which are: Gross, Charming, Strong, Flying, Wishful, Quick and Energy. Villains can react differently to the same spell – When you cast a spell on a villain that is resistant to that type of spell, the spell casts at one level below your current power for that spell. If the villain is weak to the spell, the spell casts at one power level higher than your spell’s current power. 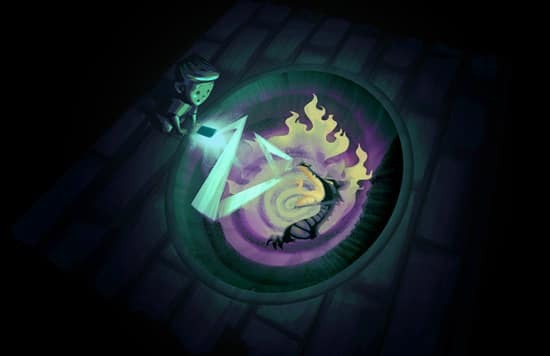 You can cast more than one spell at a time – When used correctly, simultaneously cast spells can “boost” each other, making all the spells hit with greater power. When used incorrectly, simultaneously cast spells can reduce their overall effectiveness. You can make a spell stronger – Note that the more you cast a spell, the more powerful that spell becomes. It’s also possible to deplete a spell’s power – Repeated use of a spell during a single battle depletes the spell of its potency, so when facing a villain it’s best to use at least three different cards of the correct type for that villain. Spell power regenerates between battles, so the loss isn’t permanent. The better the performance, the better the “grade” – At the end of a full game, you’re graded at Bronze, Silver or Gold Sorcerers Level. The more battles you win, the closer you’ll be to earning a gold (and vice versa). Achieving Gold status gets increasingly difficult as you go to medium and hard levels. Do you have a favorite spell card or tip you’d like to share? If so, leave it in our “Comments” section below. This sounds like a lot of fun. Where can you get the cards? @Shawn: You can pick up a free card deck every day from either the Firehouse near the entrance to Main Street, or a stand behind the Christmas Shop in Liberty Square (beat the lines! 🙂 ). You also get a free deck when you finish the game (and start again, of course). Come join us in our (unofficial yet awesome) Facebook group – search for SOTKMhelpers. I LOVE Sorcerers of the Magic Kingdom! 🙂 I’m even writing a fan-fiction story based on it with my friend. On my family’s last trip to WDW, we played several rounds, and it was so much fun. Since there were three of us and we visited the Magic Kingdom on several different days, we ended up with almost a full set of cards! I agree with Mike. Tomorrowland could have us fight Emperor Zurg and Gantu from “Lilo & Stitch”. Sorcerers would work great in Tomorrowland! I’m sure we’d be battling Emperor Zerg. The Incredibles and Cars would work well too. 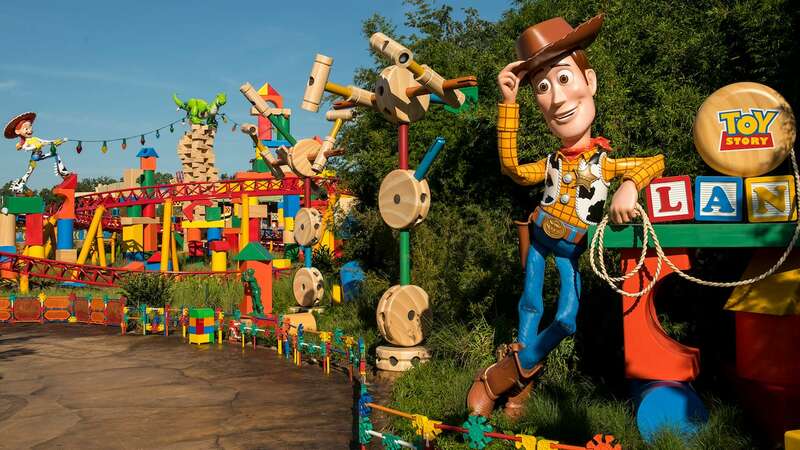 My husband is so amped for this experience on our trip in December..he told me even if we only enter the park for 5 mins/ we have to get our daily allowance of cards each of the day we are there. I have heard a little about this and would like to play on our next visit. Where do we get the cards? I’m not sure how well Sorcerers would work in Tomorrowland. This sounds like lots of fun. Are they going to bring it to Disneyland soon? My boyfriend and I love playing SOTMK. Will there ever be a way to track your card collection and your cards’ current spell levels online? That would be really cool. I’ll have to try that one, thanks! Stephanie: Yes there are 3 levels available – Easy, Medium, and Hard. All are active currently. When you finish one and start a new game you can specify whether you want to play the same level again or advance to the next. Note that none of the comments above really apply to Easy level. All cards win all battles on Easy. Selecting the right cards becomes important for the Medium and Hard levels. Apparently the moderators don’t want to directly reference unofficial sites (understandable) but there are active Facebook groups devoted to helping the game play and trading, search for “SOTMKhelpers” or just “SOTMK”. And by the way, there are 72 cards to collect (not counting cast-member-only cards), I think Jennifer forgot to count the two party/promo cards issued to attendees of the Halloween and Christmas parties. Love the game! Any word on expending to Tomorrowland or New Fantasyland? Are the advanced levels available for players now? My favorite spells are the ones that include a character. Buzz and Bolt both appear when you cast the spell. I wish Lightning and others also showed up on the screen. I’ve been watching for the card game version to become available at the Disney Store Online, but have yet to see it. Any new news on this? Thanks Jennifer. @Stephanie – This is Steven from the Disney Parks merchandise team. There will be a card case coming in early February. Stay tuned to the Disney Parks Blog for a look at it. My husband loves his Chernabog power boost t-shirt! Will there be more merchandise released – like a carrying case for the cards?